Here's an interesting question... What if travellers identify themselves less and less in terms of where they were born, and increasingly liken themselves to other groups – or, tribes? This is the picture built up by global distribution giant Amadeus in its recent report – Future Traveller Tribes 2030. Travellers seeking ease and transparency in travel planning and comfortable with letting third parties organise it all. Travellers willing to immerse themselves in unfamiliar experiences and have a complete break from what they’re used to at home. Consumers who want to share their travels and experiences because they view them as a part of who they are, a ‘personal quality’. As such, they exploit social media to inform their potential experiences and relate them to their audiences. Travellers looking for a return on how hard they work through their travel experiences. It could be a physical or mental return and they are often looking to treat themselves to do something out of the ordinary or luxurious. This group of travellers is probably best depicted by business travellers who need to be in a certain place at a certain time but are increasingly also seeking experiences. This is the final tribe and they are visiting a place for environmental reasons or political beliefs and might seek particular brands and services for these motives. The report goes into detail about the attitudes, values, lifestyles and characteristics of each tribe as well as provide the potential landscape in 15 years’ time with factors such as the economy, demographics, consumer behaviour and technology taken into account. 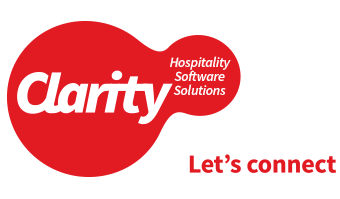 Copyright 2015 Clarity Hospitality Software Solutions Ltd. All Rights Reserved.